Oomph! 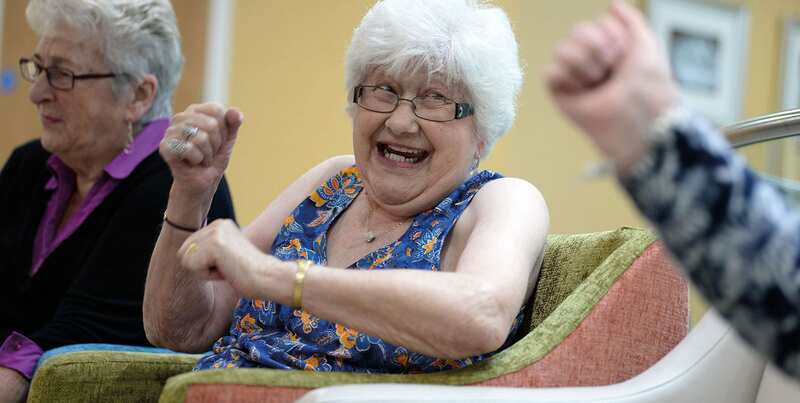 has been announced as the largest delivery partner of Sport England’s £10m Active Ageing Fund. With £915k National Lottery Funding from Sport England, Oomph! will get 27,000 adults doing regular exercise within two years. We will train around 1600 workers and volunteers in retirement villages and community venues to run adapted sports activities for older people. Prioritising online applications from venues in the North West of England and London and the South East before moving on to other regions, our fun-first approach involves bringing elements of lesser-known sports including volleyball, weightlifting, boccia and urban orienteering. We will enable regular sessions to be provided to wide audience through housing associations, retirement villages and at public venues such as libraries and community centres. We are working with the National Sports Governing Bodies for each of these four sports and in some cases drawing upon Paralympic Games versions. To enable the project to achieve wide reach, Oomph! has secured the involvement of the County Sports Partnership Network, an England-wide group of organisations who are responsible for facilitating sports and activity at a local level. Inactive people over the age of 55 are a large and diverse group (roughly 6.4 million people) so age and community appropriate programmes will be tailored to each setting. An anticipated 800 venue partners will use a bespoke app uploaded onto a tablet computer to enable Oomph! to report in real-time to Sport England and direct additional support to partners that are struggling to keep people on the programme.